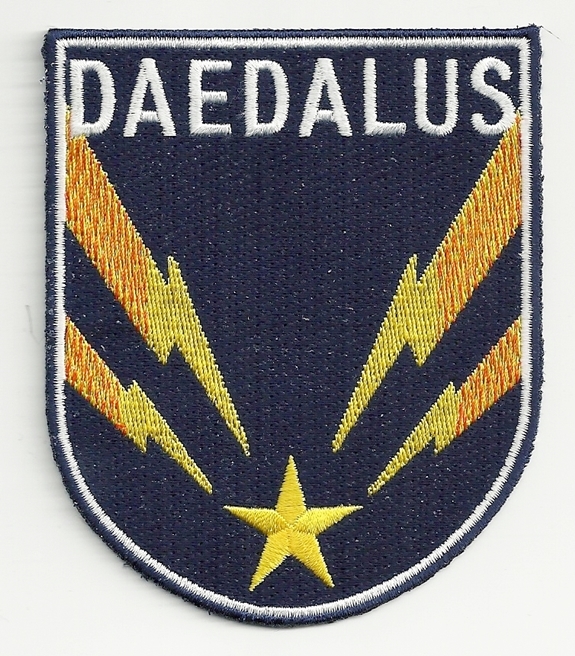 This is a new unused 4″ high embroidered patch, seen on the uniforms of those assigned as crew members to the new starship the Daedalus, as seen on the hit TV show Stargate Atlantis. 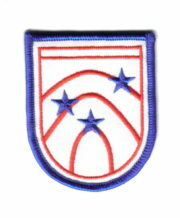 This is a screen accurate patch, produced in the same size as worn on the show. This is a new unused 4″ high embroidered patch, seen on the uniforms of those assigned as crew members to the new starship the Daedalus, as seen on the hit TV show Stargate Atlantis. This is a screen accurate patch, produced in the same size as worn on the show. It has a glue backing for easy application to a cloth surface and has been stored in a smoke and pet free environment..